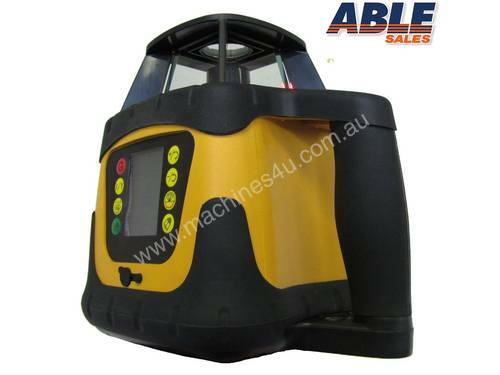 Dial In Grade Laser Level Drainage Inc Tripod & St Specification Download PDF brochure. This is our latest model Dial in Grade laser. 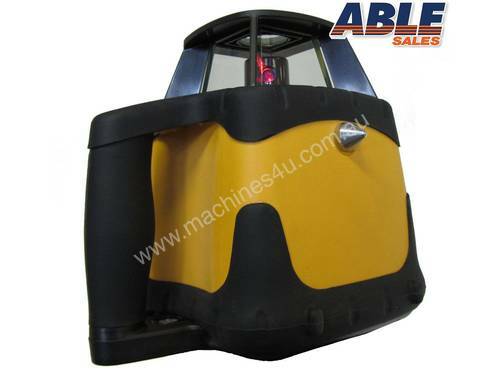 This unit has all the features you would expect from a top level laser. 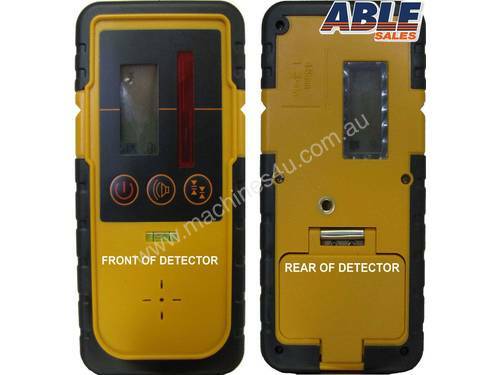 From excellent weather protection to remote operation and rechargeable batteries. 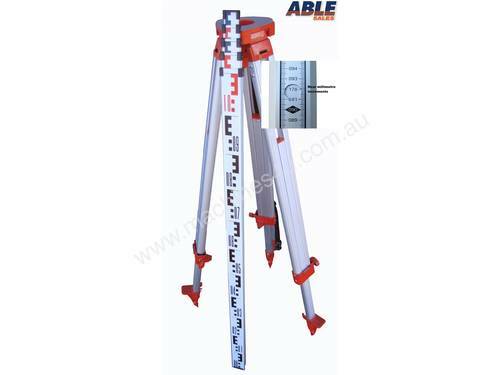 The level is very simple and easy to use and it retains the your settings from the previous project, if you pack up in the afternoon you can turn the unit on and set up quickly and easily the next day. The LCD panel is large and clear to read with easy to understand settings. 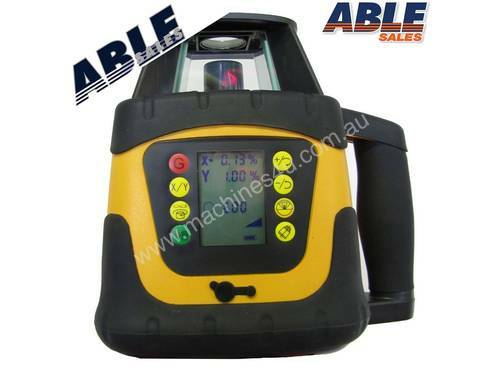 The operator can use the Dial in Grade Laser Level as a fully automatic laser level on simply press one button and enter your gradient settings and use the machines potential. 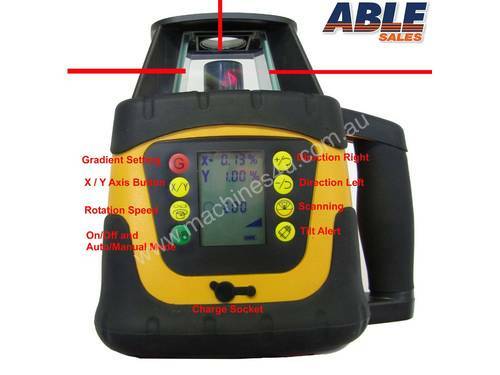 Once the machine is turned on the Grade Laser can be operated from the remote. All the same features are on the rugged remote as is on the main unit. An added feature is this unit has a handy bubble level to assist the operator to set the tripod up to level. 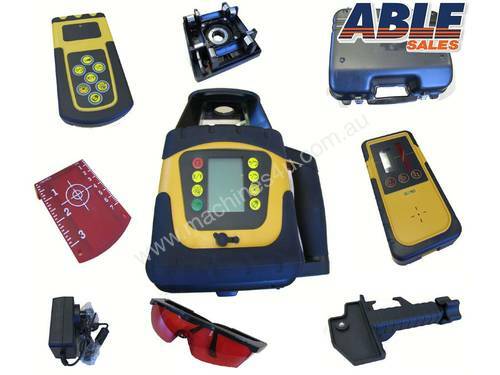 This is great addition to any person involved in the construction industry.